I reviewed Supergirl in May as part of a summer preview, but just wanted to draw your attention to my archived review today, as the comic-book drama has just premiered on CBS in the U.S (to a whopping 12.9m viewers, making it the most successful new autumn series in the young adult demographic). It did have The Big Bang Theory as a lead-in, of course, which is the No.1 comedy in America, so how episode 2 fares is less certain. But I have a feeling this show's a real winner, and most other critics agree. 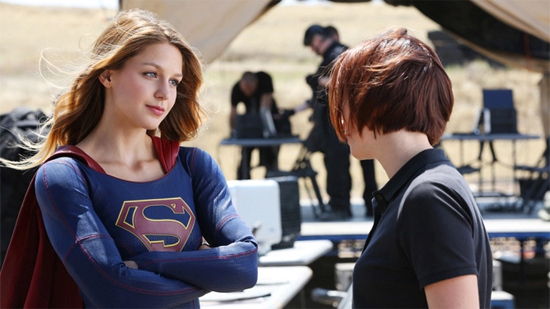 Supergirl debuts in the UK on Sky1 this Thursday, 29 October @8PM.